This is good for a 10 minute cable pass. If you have never rode before we will teach you everything you need to know! You can choose to tube, wakeboard, water ski, or kneeboard. If you don't have your own gear than we can rent you everything you need! 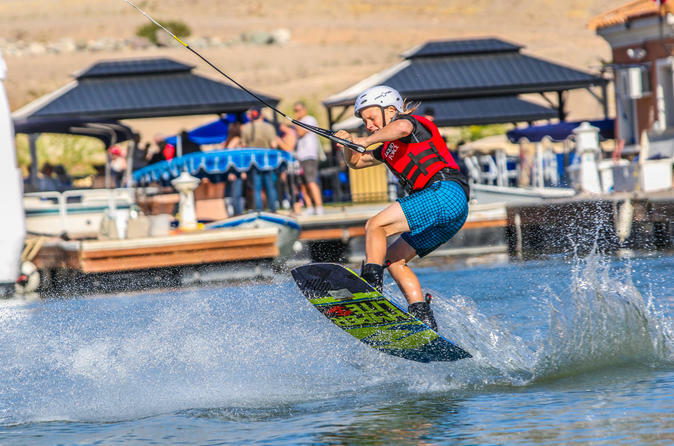 Required equipment is helmet, coast guard approved vest, and some form of riding equipment which can consist of tube, wakeboard, kneeboard, wake skate, and skis. If you have something that is not on this list please call prior to booking to confirm if it is allowed.